Thundery showers and lots of heat! 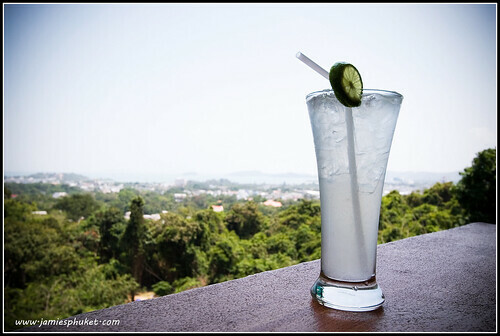 When a local person tells you "it's hot today" (in Thai "wan nee rawn mak - วันนี้ร้อนมาก") then you know it's hot. If a Swedish tourist says "it's hot" they have no idea! On the subject of weather related Thai language, if you want to learn more about how to talk about the weather, check out this page: Talking about the weather in Thai. 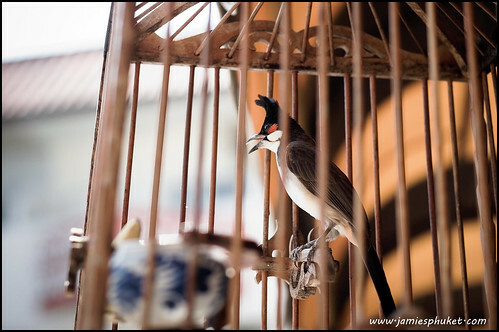 I did pop out of the shop to try and get a good photo of a caged songbird that was one of several hanging outside a nearby restaurant. Got one! 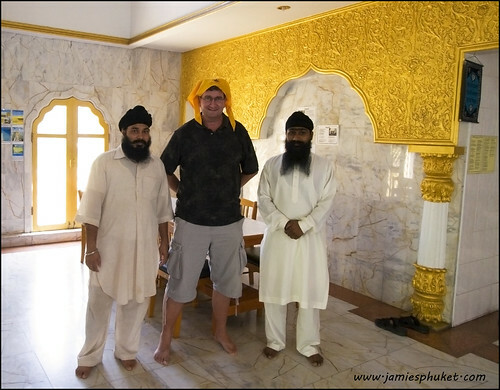 I took a little drive in Phuket Town and paused to visit a Hindu temple and a Sikh temple (Gurdwara). I am sure most people don't know that Phuket has Hindu and Sikh temples! At the Sikh gurdwara I was invited in and 2 guys made tea while another showed me around. They were all Indians, though one had lived in Thailand for 6 years. Very nice people. The cloth on my head is a sign of respect, though it does make me look even more stupid than normal. They were too polite to tell me. And then, off to Rawai beach, or nearly there. 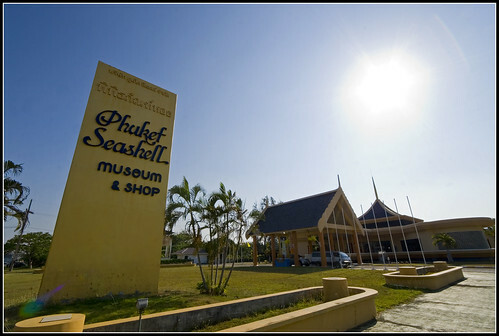 The Phuket seashell museum has been open since 1997, housing a large collection of shells, and I had never been before! Probably driven past 500 times, though! Entry 200 Baht and actually it was quite good, certainly I do like shells, and think I will take the kids here one day, I think my daughter will love it, she's always picking up pretty shells on the beach. Weather forecast, more of the same for sure. Heat + occasional isolated thunder and rain in the late afternoon or night. That's how it goes.